Banned by the Saudi Arabian government, this novel by the high-profile author and journalist Badriah Albeshr explores women’s lives in the Saudi’s repressive kingdom. Hend is a young Saudi Arabian woman struggling to challenge her conservative society, which is represented by various soldiers, real and metaphorical, in her life. After a failed arranged marriage to an army officer, she is determined to establish herself as a writer and make her own choices in love. Her mother, a firm supporter of their society’s traditional norms, works to block her efforts. As Hend engages with her mother, stories of her past and those of other female relatives reveal the extent of the suffering previous generations of women have endured while living in such a patriarchal society. 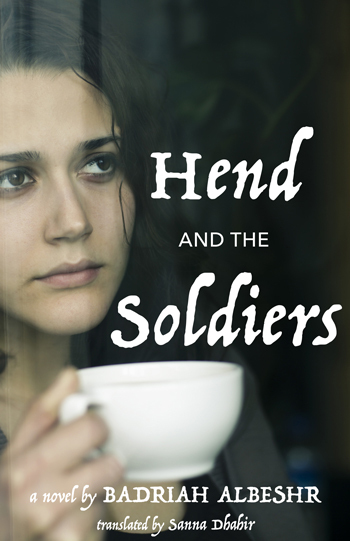 Hend also comes to understand how such traditions have adversely affected the men in her family, including one brother who flees to the West and another who finds comradeship among the members of al-Qaeda. Badriah Albeshr represents a growing number of women writers from the Arabian Peninsula who refuse to shy away from the taboo topics of religion and sexuality, which makes Hend and the Soldiers a valuable read for those seeking insights into the complexities surrounding these issues. Albeshr, a Saudi Arabian writer, journalist, and academic, has written three novels to date. This is the first to be translated into English. Dhahir is Dean of the College of Science and Humanities at Effat University, Saudi Arabia.